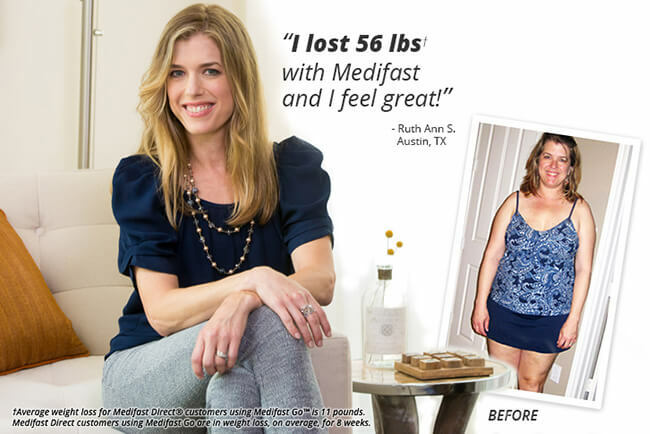 Medifast is known for offering brilliantly designed weight loss plans that are suitable for virtually everyone who wants to drop pounds, feel better, and improve overall health. If you are not sure whether Medifast is a good solution for you, this quick summary of the crucial features of the Medifast diet may help you make up your mind. Medifast meals are dietitian-designed and have reduced calorie and fat contents. On the other hand, they are rich in fiber, lean protein, nutrients, and vitamins, thus providing your body with everything necessary to improve energy levels, boost metabolism, and promote weight loss. If you opt for one of Medifast’s meal kits, you get plenty of food to enjoy throughout the day and you normally eat every 2 or 3 hours. That way, you eat more often but in smaller portions and thus avoid overeating and eliminate the chance of getting hungry between meals. Medifast is there to help you every step of the way and make sure you are losing weight at an optimal rate. Once you reach your goal weight, its team of professionals can help you stick to your new habits, teach you how to successfully maintain your weight, and make sure you never struggle with extra pounds again. Unlike many restrictive diets that promise miraculous results but instead put your health in danger, the Medifast diet has been recommended and used by 20,000 doctors since 1980. This makes it one of the most trusted weight-loss solutions. What is equally important is that its approach to dieting is clinically proven and supported by science. One of the reasons why people often give up on dieting is because they find it too hard to plan and prepare every meal of the day and make sure everything they eat perfectly fits into their weight loss plan. With Medifast, you can relax and let this service take care of your every meal for you. In addition to meals, you can order healthy snacks, supplements, and flavor infusers as well. Medifast meals cost even less than $3 per serving and the snacks are around $1 per serving. Therefore, you can enjoy maximum convenience, facilitated weight loss, and professional assistance at an unbelievably low price. We have to say, that sounds like a pretty good deal to us.